This also is not a a prediction. It came directly from the future in a long wave energy redistribution over time experiment. North Korea will NOT be attacked kinetically, but rather cybernetically and no one will ever know if it really happened or not, because there will be no apparent effects from the attack and no apparent changes in the equilibrium strategies of all countries involved will ensue. Trump Tower will be discovered to be a giant Tesla Transmitter erected based on blue prints found by a relative of President Trump who participated as a law enforcement official in the war time (WWII for whippers) confiscation of all Tesla papers found in his flat after his death. The season one Super Car feeds available on You Tube starring string puppets Mike Mercury, Horatio Beeker and Professor Popkins operating out of Black Rock, Nevada, will be found to have decisively influenced earth artist Michael Heiser into his 30-year effort at creating the largest earth art work in the world a stone’s throw from the reputed Area 51. In turn it will be learned that artist Heiser himself has lodged a fascimilie of the original flying car–Super Car–in one of the Complex City’s many geometric and so pessimistically abstract concrete and earth structures. Further, it will be revealed that Complex City is in fact a realization of an alien blue print found at the Roswell crash site. Once Complex City is open for visitors in three years, it will be discovered that the double decker hamburger was actually brought to earth by aliens and the blue prints for it were found in the Roswell crash, too. It will also be learned that the combines space agencies of the world–the consortium engaged in a super secret interplanetary space program for the last two decades–will be used to launch a fake mission to Mars to be filmed on Devon Island. It will be loosely based on the recent Matt Damon hit about an astronaut stranded on Mars and will be used to keep the public distracted from the Deep State’s “secret space program.” The famed black not for profit 501.c3 “Dark Donations” is seeking blood money donations from narco cartels and public and private intelligence organizations to fund the fake Mars mission. All these things will be learned because, I, jaybate 1.0, took self-realization seriously, and entered the DIY phase of my life with vigor and the will to build my own private, backyard Tesla Tower. Neighbors have been a little angry about view shed impacts, as the tower stands 160 stories high over a subdivision of ranch houses, but most neighbors understand that in the post truth era, DIY is the new path to happiness and inner peace. @jaybate-1.0 at least near is a relative term. 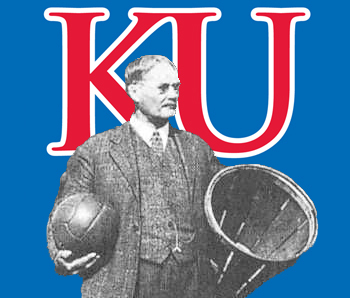 KU = NATIONAL BASKETBALL CHAMPIONS IN 2018!!! Get ready. I think this puppy is dialed in now!